Robert Maxwell was born Ján Ludvík Hyman Binyamin Hoch on 10 June 1923 to a poor, Yiddish-speaking orthodox Jewish family. His birthplace was Solotvino (then in Czechoslovakia but now in the Ukraine). Most of his family died in Auschwitz, but he escaped to France and fought in the British army in the Second World War. He then worked in publishing, and built up Pergamon Press to a major publishing house. In 1959 he put in a tender to rent the Headington Hill Hall site for £2,400 a year, and although initially he used it solely for business purposes, he and his wife Betty and their eight surviving children soon moved into Headington Hill Hall itself, relegating Pergamon Press to the old stables. He restored the house, which had become dilapidated, and described it as the best council house in the country; other people jocularly called it “Maxwell House”. Maxwell served as a Labour MP for six years during the 1960s, and then concentrated on publishing again, buying up companies such as the British Printing Corporation, Mirror Group Newspapers, and Macmillan Inc.
Too good to be true? Not if you join one of the Maxwell group of companies. Here at Headington Hill Hall you will discover the advantages of working in an organization large enough to offer almost limitless scope, but not so large that good work and enthusiasm escape notice. The Maxwell helicopter was frequently heard passing over Headington. 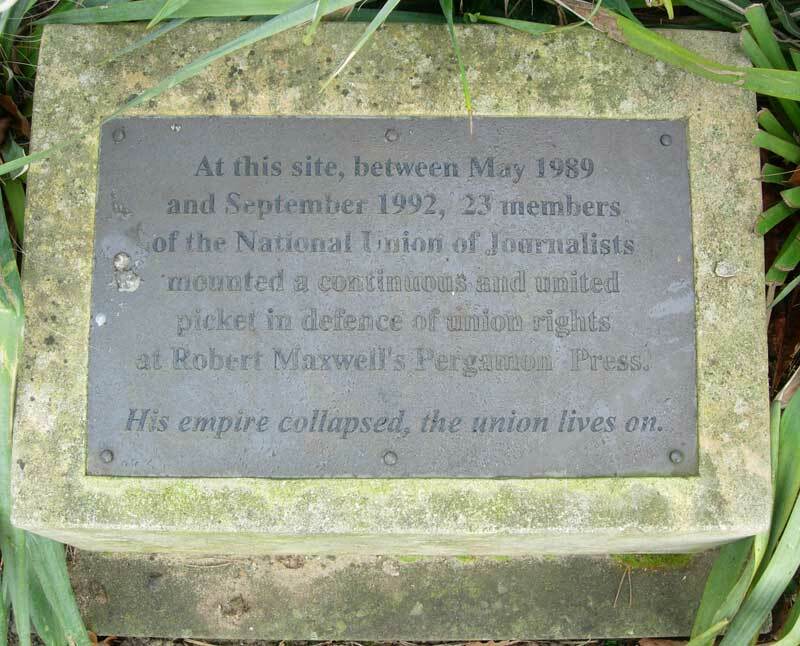 In March 1991 Maxwell sold the press to Elsevier, but it retained offices on the site. His other connection with Headington was through Oxford United Football Club, which he owned for ten years. He attended matches at the Manor Ground and became Chairman of the club in 1981, but soon handed the reins over to his son Kevin. In 1989 he got into debt and had to sell some of his successful businesses, including Pergamon Press, and it later transpired that he had also been taking millions of pounds out of his employees' pension funds. All connections between the Maxwell family and Headington ceased when Robert Maxwell drowned after apparently falling from his yacht into the Atlantic Ocean on 5 November 1991. He was buried in Israel. (see grave). Headington Hill Hall was put in the hands of the receivers; Denis Smith became the football club’s chairman; and Mrs Maxwell sold the family’s possessions and returned to her native France.